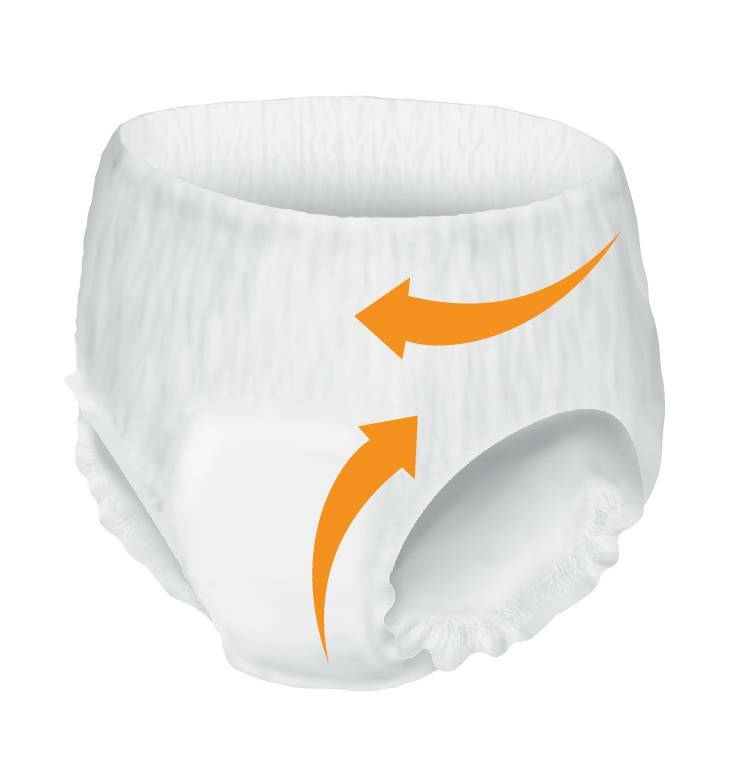 "Protective underwear" is a term that refers to disposable pull-on style adult "diapers". They usually do not have tabs at the side, although there are some that do - but they are for size adjustment rather than for fastening only. Protective underwear is great for people who can use the bathroom independently, both day and night, but who also have accidents on a fairly regular basis. These products can be much more appealing for the wearer, making them feel more independent. Choose protective underwear when moderate to heavy protection is needed.